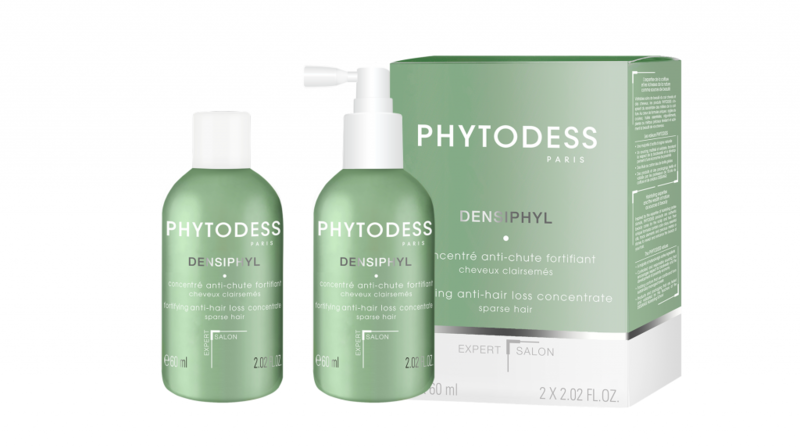 Specially formulated to help delay the appearance of hair loss and preserve hair density, this concentrate enriched with cleome gynandra* extract and a fortifying complex helps balance the hair’s life cycle. CLINICALLY PROVEN EFFECTIVENESS**: After 2 months of use, + 5,220 hairs in growth stage and + 15,660 hairs preserved**. NOTICEABLE EFFECTS***: After just 2 months of use, 91% of the people who tried the product noticed a decrease in the speed of hair loss and 80% of them observed an increase in the speed of regrowth***. After 3 months of use, 81% of the volunteers noticed better hair coverage and a less visible scalp***. * * Herbaceous plant from Burkina Faso, farmed using agricultural practices which aim at preserving and restoring biodiversity and promoting the local economy. ** Clinical study by phototrichogram on 42 volunteers over 3 months – average estimated values for hair lacking density. *** Use test conducted with 42 volunteers for 3 months – self-assessment results. Caya blanc : riche en polyphénols et source de minéraux, il équilibre le cuir chevelu et apporte une sensation de confort. Aster maritima : source d’acides aminés et minéraux, il présente une activité antioxydante. On dry or towel-dried hair, create 5 partings then apply 6 pumps of product to each one and massage in order to spread the product evenly. Do not rinse. Use once a day for 3 months, ideally at night. For best results, do not wet your hair for 6 hours following application. One bottle contains enough product for 2 weeks of use. Only remove the pump once the bottle is empty, rinse the pump and let it dry before screwing it onto the next bottle.